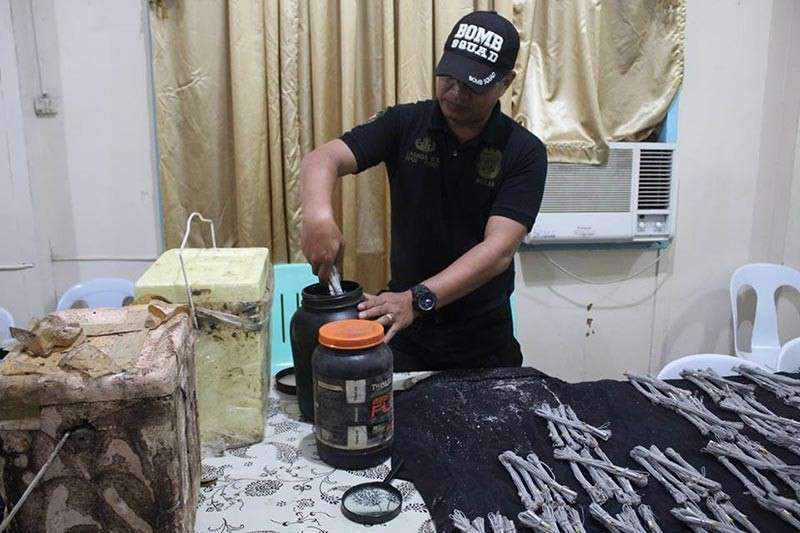 AUTHORITIES recovered on Wednesday, February 6, components in making explosives and ammunition in Sitio Kauswagan, Barangay Bit-os, Butuan City. Some 356 pieces of electric blasting caps with five meter-long leg wire and 184 rounds of caliber 5.56 ammunition were found inside two ice buckets and another two plastic containers concealed inside two sacks. Chief Superintendent Gilberto DC Cruz, Police Regional Office-Caraga director, said the recovered items are supplies of the New People’s Army (NPA). “The recovery of the electric blasting caps and ammunition was due to the revelation given by a former rebel during the debriefing of Butuan City police,” Cruz said. “We appeal to the active members of the CPP-NPA and Militia ng Bayan to give up their arms and avail the Enhance Comprehensive Local Integration Program (E-Clip). Our government is sincere in giving them programs if they would choose the right path for peace,” Cruz added.